Obituary – Brothers, Harold Henry « Perry High School Alumni Association, Inc.
Football 48-52, Basketball 48-52, Baseball 49-52, Class Assemblies 48-52, Home Room Treasurer 48-49, Home Room Secretary 49-50, D.E. 51-52, Reporter Historian of D. E., Class President 51-52, Student Council 51-52, Perryscope Staff 51-52, Band 48-50. Funeral services for Harold H. Brothers, 75, of Purcell, formerly of Norman, were held Nov. 13, 2009 at First Baptist Church in Lexington with the Rev. Rusty Canoy officiating. Interment was at the Rose Hill Cemetery in Oklahoma City. Mr. Brothers, a husband, father, grandfather, great-grandfather, coach and horseman, passed into eternal peace Nov. 10, 2009. 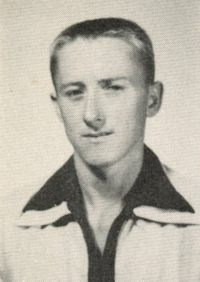 Harold was born July 27, 1934 to Henry and Pansy Mae (Reynolds) Brothers in Hooper, Colo. At an early age, they moved to Perry, Okla., where Harold started school in the third grade, graduating from there in 1952. While in high school, he participated in many activities including football, baseball and basketball. He had a superb singing voice and played in the band until he was forced to make a decision, and he chose football. In 1952, Harold enlisted for active duty in the U.S. Naval Reserve. After completing his training, he was assigned to the USS Fulton. When not at sea, Harold pitched for the ship baseball team in the old “Class D” Pro League. After his military service, Harold returned to Oklahoma and started class at Southwestern Oklahoma State University where he became a member of the baseball team. He earned his Bachelor of Science Degree in Education in 3-1/2 years. Harold’s first coaching and teaching job was at Colony, Okla., where he coached baseball, basketball and softball for boys and girls. He later went on to coach the American Legion. In 1963, Harold was recruited by Fidelity Union Insurance Company and remained in the insurance industry for more than 46 years. 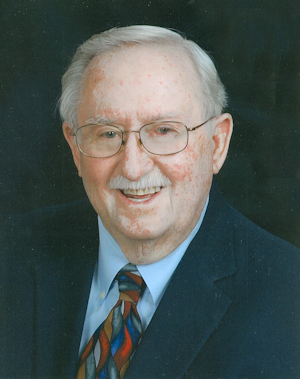 Harold has been blessed to be a member of First Baptist Church of Lexington where he served as a Deacon and enjoyed singing in the choir and playing his harmonica. He was preceded in death by his father, Henry Brothers; mother and stepfather, Pansy and Wilbur Toone and two infant siblings. Harold is survived by his wife, Sue of the home; his daughters, Brenda Wright and husband, Robert, of Oklahoma City and Brooke Marlow and husband, Jerry, of Purcell; and his sons, Brad Brothers of Purcell and Hank Brothers of Mustang, Okla. He has been blessed with six grandchildren, Sarah Alexander and husband, Steve, Alison Wright, Lauren Wallace and husband, Nathan, Ross Wright and Blake and Dallas Marlow; four great-grandchildren, Erik Alexander, Ian Alexander, Cash Wallace and one on the way. Pallbearers were First Baptist Church Deacons and honorary bearers were the Fine Timers Senior Adults of Lexington First Baptist Church. The family requests memorials be made to the Falls Creek Account, First Baptist Church of Lexington, P.O. Box 507, Lexington, OK, 73051.